Lehi Utah Short Sales homes occur when property values drop or inflated appraisals were obtained, making the property worth less than the amount of its mortgage. This means when a seller enters into a purchase contract to sell for an amount that is less than the home’s present mortgage balance, if the seller isn’t bringing in money to close, the lender must approve the short sale. That’s because the lender is taking a loss. 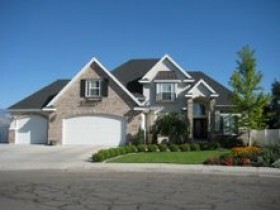 Lehi Utah Short Sales homes are not always bargains for a buyer. It doesn’t mean the buyer is purchasing the property under market, and it can take a long time to close, if it closes at all, among a host of other reasons. Not all lenders will approve a short sale, and many short sale prices that are advertised are not real prices. They are guesses at what it takes to sell the home. Buying a short sale in Lehi Utah takes time and patience. You can get a good deal on a Lehi Utah Short Sale but you need to hire an experience real estate broker to help you get one.